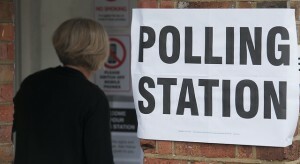 One month after my arrival back in the UK, the country went to the polls for one of its most unpredictable general elections in living memory. My participation in it made me realise how much I value the ability to influence the way the country I live in is run, and also brought a lot of aspects of expat life in Qatar into sharp relief. There are many differences between Qatar and UK life that I’d anticipated; things that were so obvious they weren’t even really notable, like the safer roads, the cooler but frequently disappointing weather, readily available booze, hayfever, tutting pensioners, tax. Then, there are the more unexpected ones. 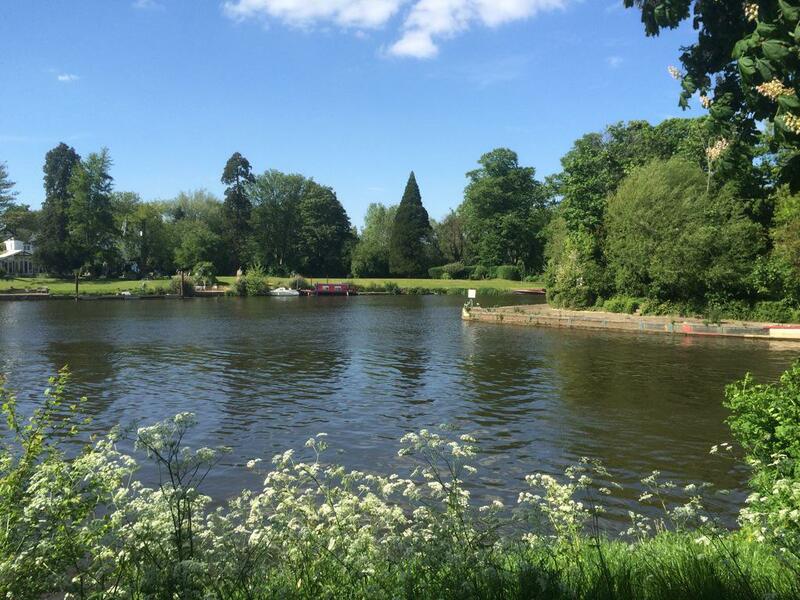 It was a beautiful sunny spring day in Surrey; trees laden with white and pink blossoms, grass lusciously green from recent rainfall, crowned with a polished blue sky. The sort of day you pine for when you’re an expat, but then quickly deny the existence of, guffawing about how it always rains, nay, drizzles everyday in England. We were driving past a local park on our way back from a sojourn at the supermarket, gawping at the aisles full of ready-meals, bacon and locally grown fresh fruit and vegetables, as Gulf-based expats (and recently repatriated ones) are wont to do. And there, reclining in the shade of a tree in the park, was a solitary woman reading a novel. And I realised that in our six years in Qatar, I realised I’d never once seen anyone lying down in a park reading a book. This is probably because we’d usually frequented Aspire Park in Doha, where lying down is actually banned. Unaware of the rules (which aren’t actually written down anywhere, and which are given to frequent change) we’d attempted to rest in the park in the early years, only to be instructed by the ever-present security guards that it was in fact verboten. It’s also because single men aren’t actually allowed in Aspire Park, unless they’re dressed in sports gear and running or speed walking, so that’s half of the human race also excluded from the whole reading in the park thing. Thinking about Aspire Park and its plethora of opaque regulations, I realise one of the things I most appreciate about being home. I am simply grateful to live in a country with transparent rules, and for having the right to speak out about, and vote for, the way in which the country in which I live operates. For aggrieved British expat voters who, we must assume, primarily voted for a socialist party which believes in a strong welfare state, an enthusiasm for Qatar’s way of doing things seems to me to be an anachronism. Qatar is far from a democracy, and the voice of the many is not heard. The country does hold elections for its Central Municipal Council, but its role is only advisory, and only Qatari citizens are entitled to vote. And barring royal intervention, no single expat in Qatar will ever be able to vote in these, because Qatari citizenship is only passed on via the male line. There is no qualifying residential period, no citizenship test to pass. My two children were born in Qatar, but they are not Qatari. It doesn’t matter how long you’ve lived in the country or how much you’ve contributed; you will never be a citizen, and it will never be your home. Indeed, Qatar’s immigration policy is a UKIP dream; every expat’s life there is tied to a particular job, and they must leave when it ends. The country also stops immigrants bringing their families into the country unless they earn more than 10,000 QR (£1782) a month, a simply unobtainable amount for most of its low income workforce. And those workers – toiling for six days a week in the burning sun, many in debt to people traffickers, not seeing their families for two years at a time – have no minimum wage and earn less in a month than most Brits would spend in one trip to the supermarket. Additionally, a vast swathe of them, the country’s domestic workers, are not covered by Qatar’s Labour Law and can theoretically be forced to work seven days a week. A Labour heartland Qatar is not. But perhaps this reaction to the election is not so surprising. After all, life in Qatar for the average British expat is very comfortable on the whole. Equipped with a well-regarded passport and qualifications that are highly prized, most live in larger homes that they could afford in the UK,employ a cleaner or a nanny, dine out regularly and travel to exotic locations for holidays without a second thought. At its best, it’s an easy, luxurious life for those lucky enough to have the right job and the right passport. But I realise now that during my time in Qatar I was constantly anxious about the ever-changing rules, which were like shifting sands underneath my feet. I was also aware that I had very few real rights. All expats in Qatar know that they could be on a plane in a matter of hours if their sponsor decrees it should be so. Many are also so worried about the power of shadowy, apparently omnipotent, forces policing the internet that they won’t openly criticise the country on social media at all. Expats also know that many of the issues that affect their daily lives – like the curriculum taught to their children, their access to government healthcare, visa requirements for family visits, their alcohol license, their ability to leave the country when they choose – could be altered or rescinded at a moment’s notice, often with no official announcement being made. Simple things like private school term dates are often altered by the government at the very last minute, for example. Last year, my son’s school was forced to move its half term break with just a month’s notice. And until recently, several private heads of British schools were telling me that they feared they’d be forced to scrap their Christmas holiday entirely to bring themselves into line with Qatar’s state school semester system. There have now been promises made that this will not be enforced, but as with everything in Qatar, this could still easily change. Of course, Qatar has every right to run its country how it sees fit, and to decide who is allowed to live and work there, and for how long. I’ve just realised that I’m not very comfortable with the way it operates, and that the UK suits me more. I’m in the honeymoon period of my return home, of course. Sooner or later my country’’s determinedly bureaucratic “computer says no” attitude to paperwork will get me down, I’m sure. However, I’m also pretty certain that my ability to put a pencil cross in a box in a booth in my local primary school, thereby influencing the election of a candidate to represent me at parliament – such an historic act, unchanged for generations – will never get old. Similarly, my rights to protest and to speak my mind without fear are dearer to me now than ever. We may now have less cash, a vastly smaller place to live and an eye-popping fuel bill, but we’re home, and in control of our own destiny. I might go and grab a book, take it to the park and have a snooze there to celebrate. Some other recent Telegraph posts for you: My reflections on Doha’s horrendous road congestion; my views on the country’s litter problem; and my opinion on the difficulties facing expat women who want to work in Qatar. When I arrived in Qatar for the first time in March 2009, I pretty much wanted to leave immediately. If you’d have given me an airline ticket and told me to head straight for the airport, I would have done it. After all, I’d just resigned from a job I loved, had bid farewell to many people I loved, and had flown thousands of miles to begin a new life in a country I’d never visited before. It’s understandable I found the early days rather tricky. We were accidental expats. My husband’s previous company had gone bust towards the end of 2008, and as the credit crunch hit the UK, potential new employers stopped hiring. This meant that job offer from Qatar, a country with supremely solid financial credentials (and that’s an understatement), was too good an offer to turn down. The fact that we both knew it was the right choice didn’t make our expat early days any easier, however. I was homesick, culture shocked, baffled and lonely in equal measure. To be frank, I’m a rubbish expat. I’m terrible at change, and I need routine and familiarity to feel secure. I remember feeling back then that it would somehow have all been easier if I’d known the date of my eventual departure from Qatar. Granted, I knew our time would be counted in years rather than weeks, but I still felt that knowing the expiry date of our expat lives would give me comfort. As time went on, however, I learned to live without my cosseted departure date. I ceased to view my stay in Qatar as an extended holiday, and began to put down roots, albeit shallow ones. Tick-tock went the metaphorical clock as we moved homes, travelled, made new friends, had first a son, then a daughter, and generally went about making a new life for ourselves. Before we knew it, six years had passed, and I’d stopped thinking about how long we had left here. We were just focusing on the present. But now, that clock is about to be stilled. In less than three months, we’re going to be boarding our final flight out of Qatar and heading home to the UK, where a new job for my husband awaits. Our expat adventure – and that’s certainly what it’s been, an adventure – is nearly over. As we’ve broken the news gradually to friends and family over the past few weeks, I’ve found myself saying, over and over again, that “it’s time.” I do genuinely feel as if we’ve reached our own personal expiry date in Qatar, a phenomenon that many of my friends can relate to. Whether it’s for a short while or a very long tenure, everyone has their own personal limit, and I know that we’ve reached ours. That’s not to say that we hate the place. On the contrary, I’ve grown to feel that Qatar has become my adopted home, appreciating its charms and benefits whilst simultaneously acknowledging its pitfalls and faults. The clock was always counting down to our departure, though, whether we willed it to or not. Even if you are born in Qatar and live here all your life, if you’re an expat, you must leave when you retire. The phrase ‘adopted home’ implies permanence, but under the country’s (soon to be revised) employment laws, you have no choice but to leave if you lose your job and you’re not given permission to apply for another one. Any feeling of security and stability in Qatar is more a badge of your own innate optimism rather than something rooted in reality. It’s an odd feeling, living out my final days as an expat. The countdown clock is finally reality, and as soon as my husband’s resignation was submitted, the country ceased to feel like ‘home’. The protective film I’d layered around me to represent security peeled away, and I started feeling like I’d already moved on. Now, my head is full of British things – houses, schools, cars, mobile phone contracts, furniture, and that rather alien concept known as tax. In an echo of how I felt when I first arrived, part of me wishes I could skip the notice period and hop on a flight tomorrow, but the rest of me knows that’s not what I want at all. This final three months will be an opportunity to say goodbye to all that we’ve built up over the last six years, not the least of which is an incredibly tight circle of friends – that much fabled ‘expat family.’ It’s also an opportunity to fulfil our Qatar ‘bucket’ list, the things we’ve always meant to do here, but haven’t ever got around to doing. It also gives us much needed time to shed most of our possessions, as we’re aiming to return to the UK with just suitcases. We’ve giving a lot away, but also experiencing the flipside of the expat “I’m just popping over to see what you have that I may want to buy” phenomenon, so often the source of second-hand finds in our own home. It’s also an opportunity to eat our way through our kitchen cupboards, although I don’t reckon we’re ever going to finish the buy-one-get-one-free two litre bottles of vegetable oil I bought before Christmas. My husband also pointed out that I’ll need to drink at least three cups of tea a day between now and April if we’re to finish all of our supply. No problem, I said. I’m British; that’ll be a doddle. Here are two more Telegraph blog posts for you – the first about the true value of an expat’s possessions, and the second about Qatar’s ‘broken’ roads, a post I wrote following a particularly depressing week on Doha’s dangerous streets. The first post was also published in the Telegraph Weekly World print edition. I’m now back writing again after a rather momentous event, the birth of our second child – a little girl – at the beginning of August. Luckily she’s a very good baby and allows Mummy some time to dedicate to her passion. I love motherhood, but I also love having a creative outlet, so I’m enjoying blogging for The Telegraph about expat life. My first two posts following my daughter’s birth have been about The Cuban Hospital (the rather unusual location for her delivery) and about the very welcome arrival of winter in Qatar. The Telegraph recently deleted all of its expat blogging content. So here’s the text of my “Giving birth on Mars” column, pasted here for posterity. “My daughter had been born on Mars. Or at least, that’s how it appeared when I looked through the window of my hospital bedroom. Admittedly I was somewhat spaced out after an unplanned general anaesthetic and some tremendously welcome pain killers, but still, my vista of sand and rocks as far as the eye could see, stained rusty orange by a desert sunset, did have an otherworldly quality to it. My hospital bed, whilst not actually on another planet, was located in Zekreet, about an hour’s drive from Doha, near the coastal town of Dukhan. Barely more than a tiny settlement, the area is distinguished by a plethora of unusual limestone ‘mushrooms’ and sculptor Richard Serra’s new installation of his work “East-West/West-East,” four towering steel monoliths located in the wilderness. Zekreet might not actually be extra-terrestrial, but let’s put it this way – it’s not Epsom. Or even Doha. Now, however, an increasingly large proportion of the country’s pregnant women are choosing to make the lengthy journey on a regular basis, spurred on by the reputation of Dukhan’s local hospital for excellent care. The Cuban Hospital of Dukhan is far from your average local general hospital. As its name suggests, it’s staffed by hundreds of Cuban doctors and nurses, transplanted more than 7000 miles and deposited in the Qatari desert. Opened in 2011, it’s funded and run by Hamad Medical Corporation (HMC), Qatar’s public healthcare system. The Cubans employed at the hospital, around 400 in all, are just a small proportion of the tens of thousands of Cuban medical practitioners who are currently employed overseas on fixed term contracts, through the country’s policy of ‘medical internationalism,’ which often sees its doctors being sent to war zones to carry out humanitarian work. Qatar clearly doesn’t fall into this category, but Cuba’s Ambassador to Qatar recently said that the deal they’d struck was an example of the “excellent” relations between the two countries. It certainly seems to be working well for both sides – Cuba benefits financially, and in return, Qatar has staffed an entire hospital from a guaranteed pool of well qualified staff who live in purpose built accommodation on site. My plan to deliver at The Cuban was met with many a raised eyebrow and a discrete cough, particularly from friends and family who weren’t familiar with Qatar’s healthcare system. I’m not surprised. The place sounds fantastical to me too, and I’ve actually been treated there. My choice, however, was a logical one. I was attracted by Cuba’s reputation for excellent medical training, the attractively designed, well-equipped modern hospital (with single en suite rooms as standard), and the fact that it came under the umbrella of Qatar’s public healthcare system, meaning that I received heavily subsidised care. This was a tremendous bonus, as I’m one of a significant number of expat women whose employer-provided health insurance doesn’t provide maternity cover. 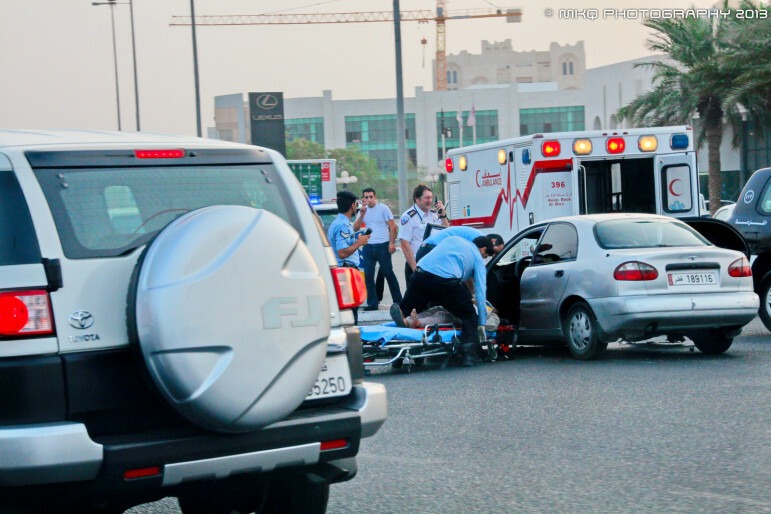 The cost of private healthcare in Qatar is increasing rapidly. When I gave birth to our son in Qatar in 2010, a private birth cost us around £2500, plus significant sums for all antenatal check-ups and tests. This has now more than doubled. So, the cost of my c-section at The Cuban – a mind-bogglingly brilliant 400 Qatari riyals (around £70) was a no-brainer. Four years ago, none of Qatar’s public hospitals allowed husbands beyond the maternity hospital waiting room. So, despite the cost, we decided to deliver our son at a private hospital so that my husband could be present at all appointments, as well as at the actual birth. This time around, however, we were attracted by The Cuban’s reputation for having a “more western” approach to maternity care than Qatar’s other public hospitals, allowing husbands to be much more involved, including welcoming them at all appointments and scans. My husband was not present, however, at my c-section – birthing partners are strictly not allowed in the operating theatre here, something that upsets many. So, not quite the midwife-led units, multiple birthing partners and birthing pools of home (attitudes towards childbirth in Qatar do, on occasion, have a worryingly 1970s-UK, over-medicalised whiff to them.) It’s to be hoped, however, that Qatar’s forthcoming Sidra hospital for women and children will do much to change the childbirth experience here. For now, however, residents are seeking out pockets of medical care where they feel most comfortable, and for me, The Cuban was it. The other huge plus was the hospital’s well organised appointment system, which meant we hardly ever had to wait. Even in Doha’s private hospitals, it’s not unusual to have to wait up to two hours to see an obstetrician at each antenatal appointment, but at The Cuban, I never waited more than 10 minutes. I’d far rather drive an hour each way to my appointment, than wait in a characterless room decorated with plastic flowers, thumbing through years-old copies of Hello, for the same period of time – whilst paying through the nose for the privilege, of course. Having given birth under both the private and state systems in Qatar, I must say I rate the latter more highly. My first experience – which I also wrote about for Telegraph Expat – was characterised by a lack of support from nursing staff. In particular, the absence of information about, or practical help for, breastfeeding was woeful. Based on this experience, it comes as no surprise that Qatar has a very low breastfeeding rate. By contrast, the Cuban doctors and nurses were very encouraging, with the paediatric nurses in particular providing a shoulder to cry on and proper practical help in the wee hours of the morning when I was ready to throw in the towel.I also enjoyed getting to know more about their daily lives in Cuba, and finding out about their families, who they’d all had to leave behind – a decision made by Cuba, and not by Qatar, they said. One nurse in particular told me about her baby son, who was three. She’d left Cuba when he was a year old, and she could tell me the exact number of days she had left until the end of her contract, when would be reunited with him again. She had less than a month to go until her flight out, so six weeks on, I imagine her now, souvenirs unpacked, suitcase stowed and forgotten, relishing her return to motherhood. I’m so grateful to her and all of her colleagues for making my second experience of childbirth in Qatar a positive one. I loved the Cuban music I could hear being played at the nurse’s station in the evening; the bursts of “que Linda” (how beautiful) whenever they saw my daughter (I was convinced for a day that they thought she was called Linda); and even the odd Cuban coconut pudding I had for lunch. Qatar and Cuba – an unusual partnership, I grant you – but at this hospital, it definitely works. I’m not planning on any more children (you can quote me on that) but I must say, if I did end up doing it all again in Qatar, I’d head back to the eerie, Martian landscape of Zekreet, and its Cuban inhabitants, every time. I recently wrote a two-part series of articles for The Telegraph giving advice to expats about how to save money in Qatar, a country which is becoming an increasingly expensive to live in. You can click here to read the first part, and here to read the second. My latest article for The Telegraph is up. In it, I give tips on ways to settle in to expat life in Qatar. It’s never an easy transition, but I argue that the more you put in, the more you get out of the experience. I’ve known many people who’ve refused to give Qatar a chance, and they’ve been miserable as a result. If you’re about to move to Qatar, or have just moved – make sure that isn’t you! You can read the article on the Telegraph site here, or for your convenience, the full text of the article is below. 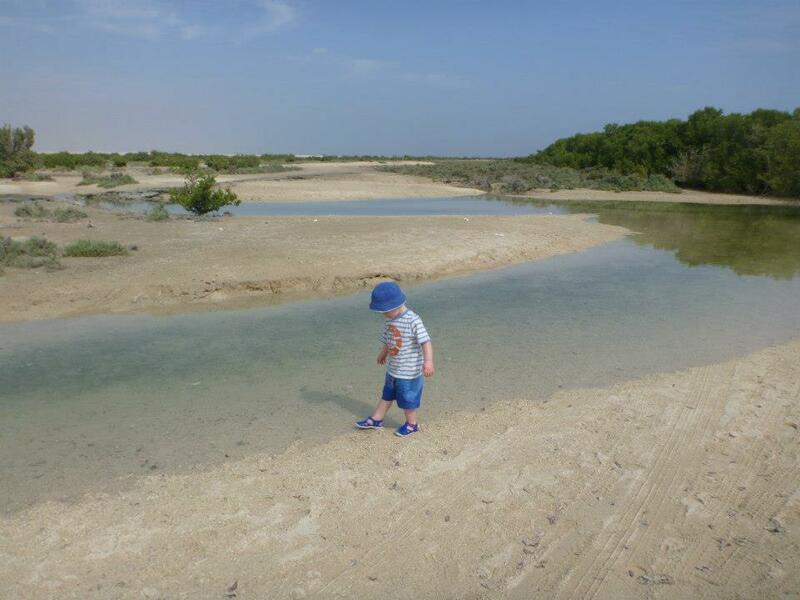 Last year, a fellow British expat left Qatar after a brief spell. He’d hated it. He’d tell anyone who’d listen about his time in a country with “nothing to do”, an alien culture, terribly congested roads, and even more terrible driving. When questioned, however, it became apparent that he’d essentially spent two years on holiday. He hadn’t travelled outside of Doha’s city boundaries, nipped back to the UK whenever he could, and spent his weekends at expensive brunches at five-star hotels, bemoaning the lack of other activities on offer. All expats in Qatar know several of these people, and dodging their negativity is one of the primary skills of life out here. Meanwhile, the rest of us know that although life in Qatar is often challenging, a little effort made to settle in reaps huge rewards. Settling in, it must be said, is not the same as feeling at home. Qatar’s restrictive sponsorship laws mean that no expat can ever gain permanent residency, and many expat adventures draw to a close with the ending of an employment contract. 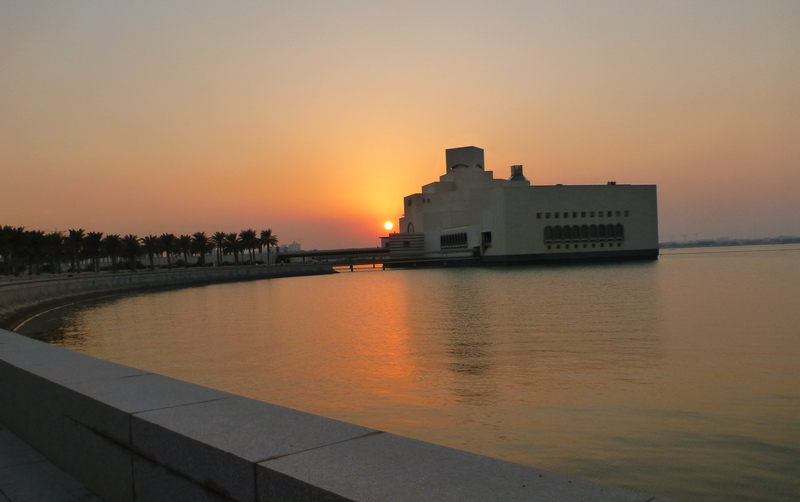 With that in mind, here are some ways to make the most of your time in Qatar, however long or short it might be. 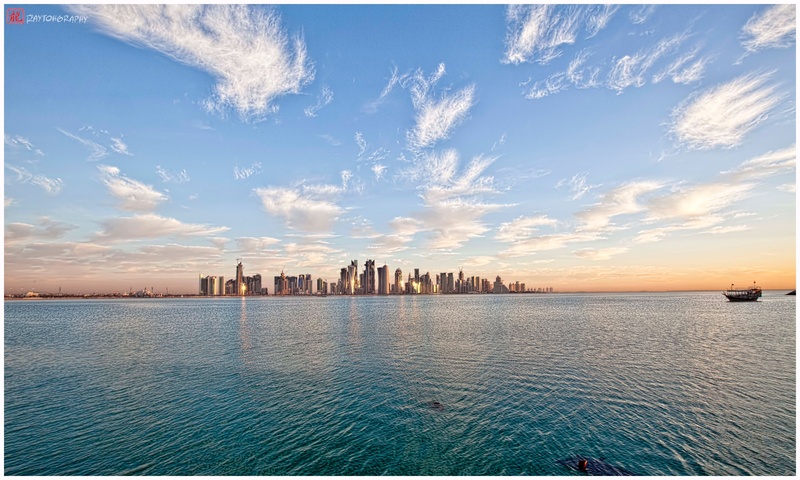 A “life” in Qatar will not come to you – you need to go out and find it. Fill your free time with activities, and you have vital momentum when you have a “Doha Day”, when the city’s frustrations seem insurmountable. Whether your idea of fun is yoga, amateur dramatics, kite surfing or silk painting, there’s a class or group for most tastes and abilities. Time Out Doha (timeoutdoha.com) has useful listings. Also, make sure you spend time being a tourist – there’s much more to life than your office and your nearest mall. Visit Doha’s museums, watch the Qatar Philharmonic play, hire a dhow, have dinner in Souq Waqif, visit a hotel beach for the day or go dune bashing. Qatar also hosts many high-profile sporting and artistic events year-round which are often relatively easy to get tickets to, and fairly cheap – keep an eye on local papers and news website Doha News (dohanews.co) for information. Finally, if you’re moving to Doha with your spouse, and you haven’t got a job lined up, don’t shelve the idea entirely. Not working can be a pleasant change for a while, but most long-term Qatar expats find that a job – be it casual, full-time, or simply volunteering – is a great way to enrich their experience, make new friends, and, crucially, give them purpose. One of the nicest aspects of expat life is that people are generally open to meeting up. 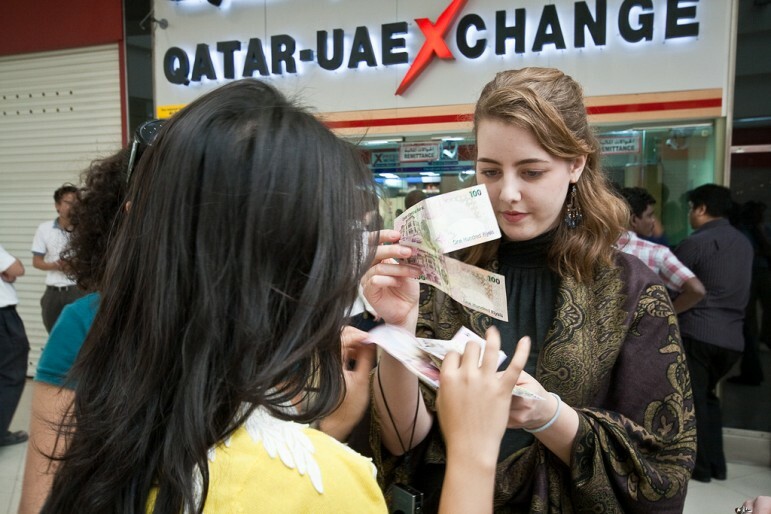 “Abandon your British reserve,” advises Katy Monvid, who’s been in Doha for four years. Although not every acquaintance will turn into a lifelong friend, there are lots of ways to boost the chances of finding someone you connect with. Online groups can are very helpful – take a look at Internations (internations.org) and Meetup (meetup.com) where you can find a group called Qatar Expats. If you have children, Doha Mums (dohamums.com) is also a valuable resource for advice and activities, with regular coffee mornings and dinners planned every month. There is also a myriad of specialist interest groups on Facebook, which turn up in a simple search. We all suffer from homesickness sometimes. For an instant Doha pick-me-up, seek out British comfort food in the form of a traditional roast at Garvey’s, fish and chips from the L’wzaar stall at Katara Cultural Village (katara.net), or wander around the Megamart supermarket and the Marks & Spencer food section picking up imported treats. Or, for a longer-term effect, go against your instinct, and stay in Qatar more, advises Danish expat Rene Juncker. “The common factor for many people who never really settle in is that they all jump on a plane back to their home country at any given opportunity. I call them The Inbetweeners,” he says. If you never chat with a Qatari during your time in Qatar (and trust me, I’ve met people who haven’t), you’re denying yourself the opportunity to learn more about your surroundings; a vital part of settling in. Meanwhile, I was invited to a Qatari wedding by a bride I was sitting next to in a beauty salon – we just got chatting, and suddenly she was handing me a wedding invite. I had a great time. And for a fun perspective, check out the iLoveQatar YouTube channel, #QTips (youtube.com/user/iluvqatar) where friendly locals Hamad and Khalifa guide you through various aspects of Qatari life. 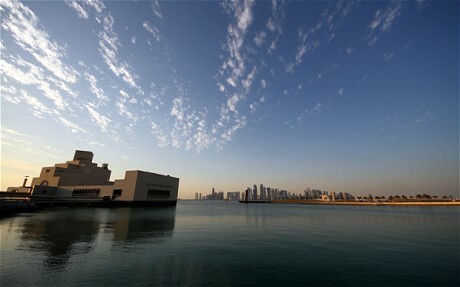 Finally, there’s tremendous satisfaction in finding a corner of Qatar you like, and calling it your own. For ideas, take a look at community portal JustHere’s Make It Home section, which includes a great guide to public parks (justhere.qa). 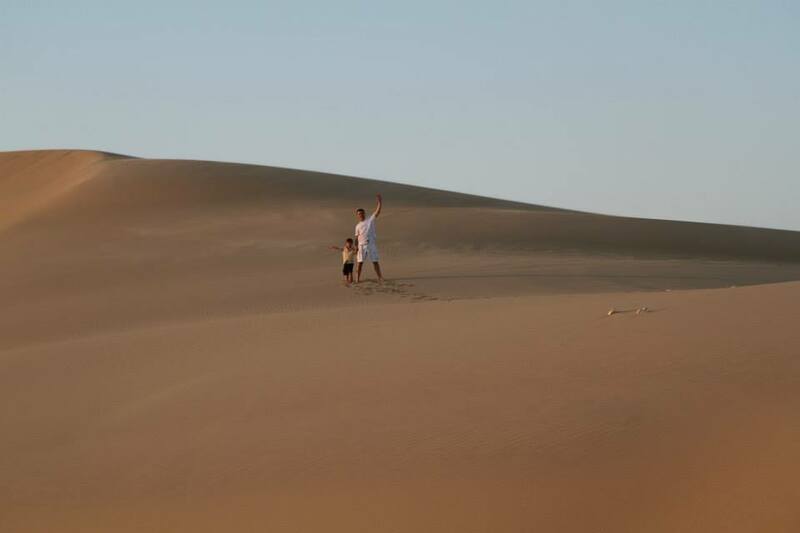 Whether you pick the dunes, an open green space, a beach or the camel racetrack, having an open-air bolthole is a great way to make peace with your new life – which, despite its frustrations, will pay back your efforts twice over if you give it half a chance. My latest column for Telegraph Expat offers some much needed advice for those considering a move to Qatar. What’s it like to live in Qatar, the world’s richest country? For my latest column in the Telegraph, I attempt to sum up what it’s really like to live in Qatar. Tough to do in around 800 words, but I did my best! Do you agree or disagree? You can read the article here. My latest column for Telegraph Expat has just been published – this one is about couples who’ve had to get married in order to move to Qatar, where “living in sin” just isn’t an option. You can read the article here. It’s also about to be published in the Telegraph Weekly edition, which is distributed worldwide. It was such an interesting topic to research – I hope you enjoy reading it.